Use the most technologically advanced paint restoration process in the industry. Unlike with LANGKA paint – NO 3-HOUR drying time! move on to your next car! Q: What do 200 million cars in America have in common? Many in the auto industry refer to the small chips and scratches that plague cars and trucks as road rash, and it’s the result of rocks and gravel being tossed into the air by other vehicles. “Road rash” has a negative impact on the appearance and value of the vehicle! According to the Kelley Blue Book paint makes a difference! The average increase in value is $1,637! Until recently, the options for repairing vehicle paint have been limited. The current method for resolving the paint chip repair problem may be to use touch-up paint and dab the chips with varying degrees of limited success or have the hood painted, with costs ranging from $250 to $500 or more. The expense, as well as the time off the market as repairs are completed, negatively impacts potential earnings for dealerships. 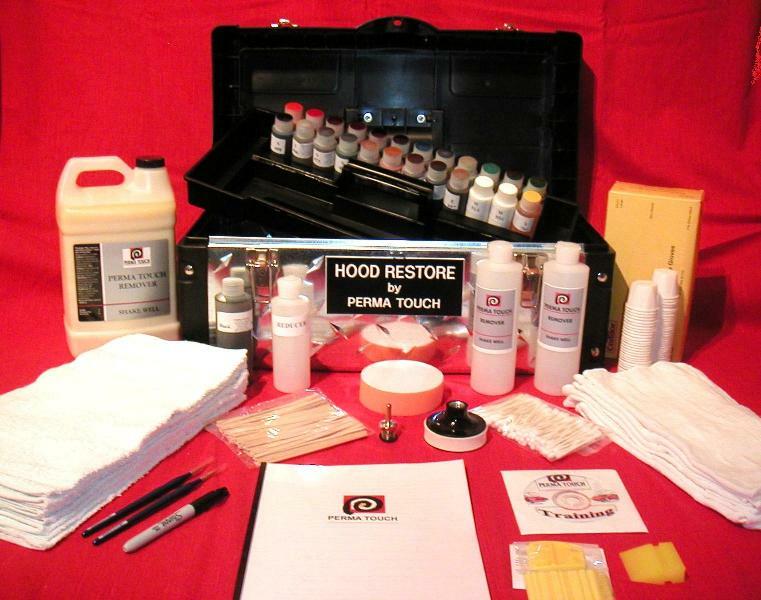 Perma-Touch offers the best possible solution with an onsite repair that takes just minutes using our portable, compact paint chip repair kit. It is a simple three-step method that fills the chip with paint and then is wiped off so that no excess paint is left to have that touched-up look. The vehicle, at normal viewing distances, looks as though it has just been waxed. Imagine the value of such results and for just pennies on the dollar. with the Perma Touch System! Perma Touch is actively pursuing qualified individuals to join the Perma Touch team as independent contractor licensees delivering the Perma Touch Process to dealerships in your territories.